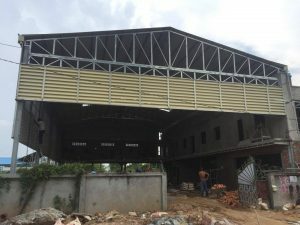 Home / Archive by categoryCNM Motors Posts"
We all know that information regarding these sorts of things isn’t widely available to expats in Cambodia, so we work hard to try and source as much as possible to share within the expat community and CNM Motors’ network. 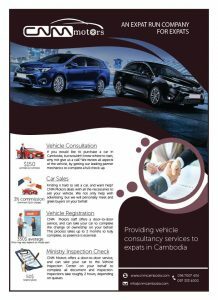 For those expats who do not wish to renew their driving license each and every year, or to those of you who have expired international licenses or even do not obtain a driving license at all -this service offers a simple solution to becoming a legal driver in Cambodia. These licenses are valid for 10 years. You will also be required to pay the 90,000r fee through a Wing or Ly Hour account. When you show up for your test, they will want a copy of your Wing receipt (though the online system issues you a QR code .pdf indicating you’ve paid, they also require to see the Wing receipt. If you pay by the phone app instead screenshots of the transaction receipt are accepted). Some revision is required, as we know Cambodia has a unique driving system. For revision, you can use the Driving Rules phone app. Links below. In addition to the app, you can obtain a book and sample written exam at any driving school for 5000r only. An English version of the book is apparently available at the driving school on Sotheros & Sihanouk Blvd; price unknown. 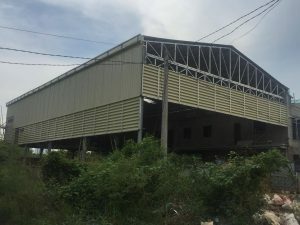 1) When you go to the Department of Transport (located here; https://goo.gl/maps/KvAtRcsFQcx) head to the information window at the licensing office to get your paperwork. You will need originals of your documents for them to check against the scans. They will require 4 passport photos with white background. 2) Next go to take the medical test (pay 10,000r in cash at the medical check office, for which you will be given a receipt). The medical check office is at the rear of the compound, near the driving test area, past the vehicle inspection building. 3) After completing the medical test, you must now attempt the theory exam (located upstairs in the same building as the medical check). If you cannot understand some of the questions because the English is incomprehensible, then you can ask the examiner to explain it to you and they will help. If you fail the test, the cost for retesting is 20,000r, although this apparently cannot be completed on the same day. The theory exam is a computerized test containing 40 questions in 30 minutes; available in English. 4) If you successfully pass the written test, you can now take the driving test. If you show up around 1:00pm, you can pay $10 to use a practice car for 30 minutes on the course or 10,000r to use your own car. If you fail the driving test, then things become a little more complicated, as you cannot re-test on the same day. Ask a member of staff when the next available testing slot may be. To re-test show up by 9:00am, and they’ll give you a slot in the afternoon to take the test. If you show up in the afternoon, they’ll give you a slot for a different day. Retest fee is 30,000r. The department also now allow an agent to come in the morning on your behalf (with your passport and money) to book the slot. So far there is not a way to sign up for a re-test slot online. A translator is available for the actual driving test if required. The driving tests must be completed in a ministry provided vehicle fit with dash-cams. Corruption has been eliminated from all departments. Tests are carried out on an artificial road within the Department of Transportation’s grounds. During the test you will be required to complete two parking manoeuvres. Each available bay is very narrow, and tricky to complete. If you touch the boundaries on any one manoeuvre, it will be an immediate fail. There can be up to 30+ people waiting to take the test on any one day, so please be prepared to wait your turn. The practical driving test takes about 20 minutes, and licenses are issued and printed on the same day for successful participants. We have over 50 genuine customer reviews from expat clients on our FB page and website. We strive to offer a unique and professional service to all our clients new and old. If you would like to use our services, then please do not hesitate to call us now on 096 7007 434. 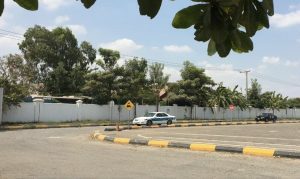 Although we have guessed it is a huge money maker for the powers that be, regarding import taxes paid on vehicles in Cambodia, it is surprisingly difficult to obtain the tax tables. Of course living in a developing country, as we choose to do- one cannot simply download such a thing from official websites. Below is a link to the 2017 tax tables for SUV’s only. Cars with a manufacture year younger than 2001 will have to pay the same import tax rates as a 2001 car. Sadly, older cars do not have cheaper rates here anymore. We have seen an increase in the tax in the last 3 years, and it continues to rise each year. Tax is calculated by the size of the engine and the year of manufacture. 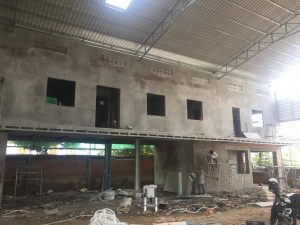 Progress on the new location for HKS Garage- Sen Sok is well under-way. Take a look at the most recent installments. Expect to be open in mid December 2017. Our original HKS Garage will sadly close, and relocate to Sen Sok due to rent inflation in the Toul Tom Poung area. 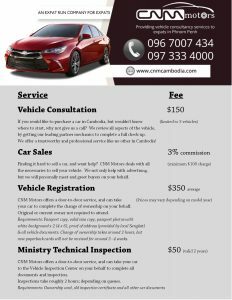 Due to the change in laws issued by the General Department Of Public Works and Transport, CNM Motors will no longer be offering the Cambodian driving license service. Below is a detailed description of how to apply for a new license or a simple renewal for all CNM Motors clients and followers. New applicants should take around one hour from start-to-finish, and cost $11.50. Renewals should take roughly 40 minutes, and cost $10.25 only. ALL new or old applicants must attend in person with required documents, and complete a simple medical examination. Its is CLOSED on weekends, and CLOSED 11:30am till 2:00pm for lunch break. Documents required: original passport + one copy, current valid visa + one copy, your original valid driving license from your home-country, 5 passport photos with white background, residence certificate (which is provided from local Sangkat office – applicants should approach landlord for assistance with this). For renewals, a residence certificate is not required, in addition, you should have your old expired license. Unfortunately this department are no longer issuing Chinese expatriates Cambodian licenses without completing a driving test. If your license from your home-country does not contain English language at all, you must receive a translation from your embassy to submit along with your application. All licenses for expats are valid for one year only. 1. Once you arrive, enter using the last entrance (2nd on your right). To the left of the testing station is a group of buildings. Enter through the red door. This is the waiting area for people completing driving tests. 2. Follow the arrow on the right side. Enter the room on the left side (if you come in through the main entrance on the other side, its opposite). This is the medical checkup room. Office staff will ask your height and weight, and give you a simple eye test. They will complete some forms for you. You need to give them 1 passport photo and 10,000 riel only. 3. Leave the way you entered. Walk straight ahead, past the Wing shop, and look for the Driving License Office on the left hand side. Go to the last window on the right, and give your form from the medical test, your old license (if renewing), 2 remaining passport photos, and your passport along with the copies. 4. They will request that you go inside, where your paperwork is checked and approved by 4 different people, and then given to a data entry member of staff, who will prepare your application whilst you sit outside and wait. 5. You will be called to get your paperwork, sign your name on the docs, then take it to the Wing kiosk outside and transfer the remaining 30,000 riel. Wing fee is 1,000 riel. 6. Return the form to the members of staff inside the glass room office. They will recheck it, then you wait while they print your new license. You need to sign a book confirming you have collected it. The new licenses are paper cards in a plastic sheath. These cards have U.V watermarks, and are extremely waterproof. Look for which name is on the card. If seller has a copy of the original owner’s ID card, this will make this easier when changing the ownership. -Import tax receipt. This is a small pink square slip. The number (normally starting #99) should coincide with the import tax disc in the windshield of the car. -Recent road tax. Most car owners have not yet purchased 2017 road tax yet, as it has just been released. If the car does not have this, you may be able to negotiate with the owner to cover the cost. The price for road tax depends largely on the year and size of the engine. Bigger and engine, higher the annual tax. There should be a stamp in the windshield and a receipt that matches. -some cars have road tax cards, with chips in them. This is rare, but makes things easier when purchasing road tax at the banks or tax office. -Technical inspection certificate. This is issued every two years. Check the expiry date. If expired, again, this could be negotiated with the seller. There is also a blue stamp in the windshield with the expiry date. These dates should match. If certain documents are missing, most can be replaced for a price. The only thing that is irreplaceable, is the import tax disc/shield in the windscreen. -road tax for previous years are fined by multiplying by 2. This may have to be done at tax office. If the ownership card is missing, do not buy the car!!!! For a small consultation fee, we can assist you to find a suitable vehicle with the right documents. 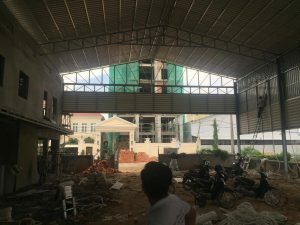 The huge car market in Cambodia can be extremely overwhelming, and sometimes frustrating. If you would like our assistance, just let us know some minor details about car preference and max budget.